December SCRIPS! Holiday gifts? Preparing for New Year’s Projects? Everyday details? It’s all here for you. Dear Merriam Parents, If you are new to the fundraiser – SCRIP is a program that allows you to buy gift cards from national and local retailers and restaurants and a portion of every purchase is donated to our PTO – at no extra cost to you! Now is a great time to get your holiday gift cards, teacher, mailman, and bus driver thank-yous, everyday shopping, you holiday cards squared away on Shutterfly or to use for your own holiday shopping! And remember with SCRIP, you raise money for Merriam by shopping with gift cards for everyday expenses like food, clothing, and entertainment. 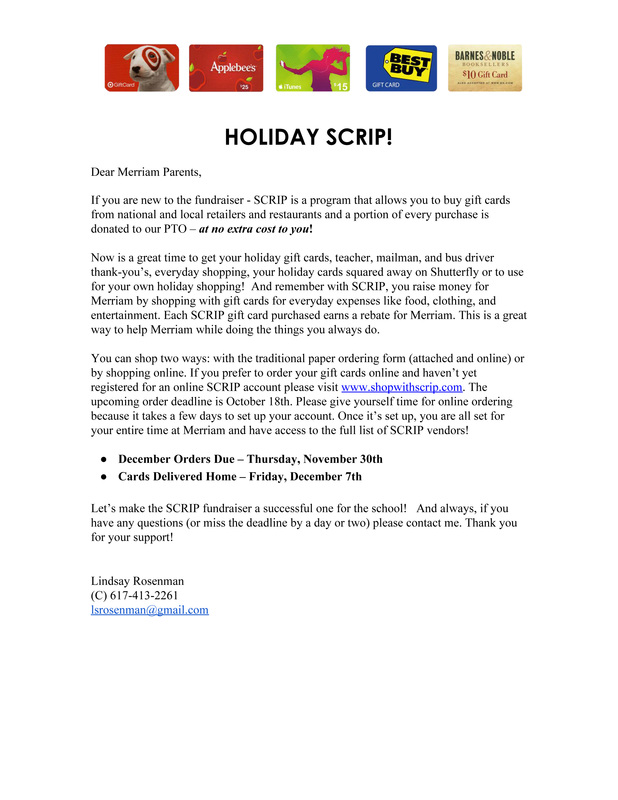 Each SCRIP gift card purchased earns a rebate for Merriam. This is a great way to help Merriam while doing the things you always do. You can shop two ways: with the traditional paper ordering form (attached) or by shopping online. If you prefer to order your gift cards online and haven’t yet registered for an online SCRIP account, please visit www.shopwithscrip.com. The upcoming order deadline is October 18th. Please give yourself time for online ordering because it takes a few days to set up your account. 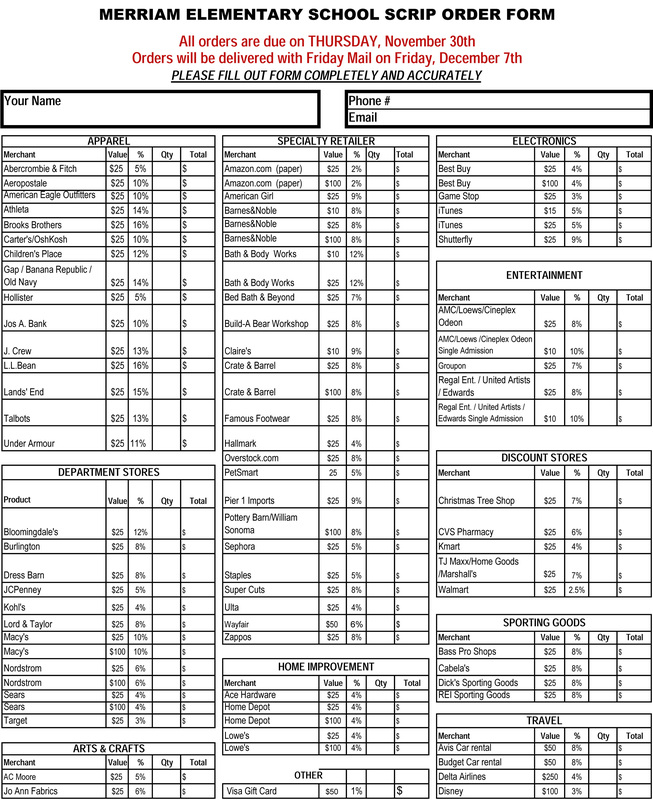 Once it’s set up, you are all set for your entire time at Merriam and have access to the full list of SCRIP vendors! Thank you! We loved the Muffins and Doughnuts! International Night Planning Team Members Needed – Can you lend your support to this incredible event? Theme Day! Friday June 1st – Volunteers URGENTLY Needed!